£15.60 per KG. 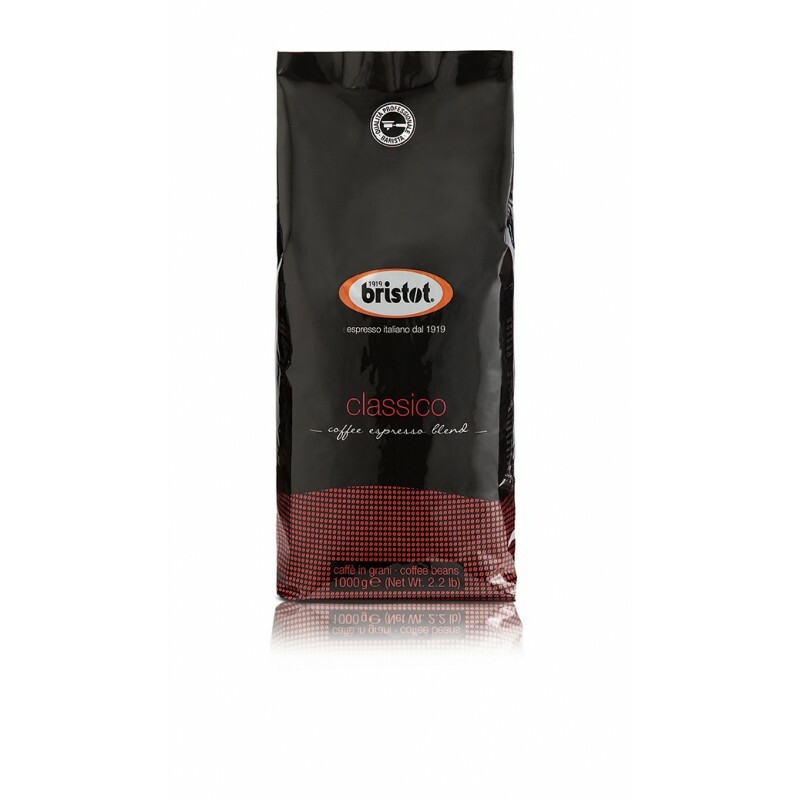 Bristot Rainforest Alliance Coffee Beans are perfect for coffee lovers who are concer..
Classico is a splendid smooth, bold, aromatic Espresso coffee with a first class rich, thick crema. Light acidity and intense body with chocolate tones make this blend perfect for Latte, cappucino, macchiato and stronger espresso. Its Robusta content allows the coffee flavour to kick through milk drinks with ease. 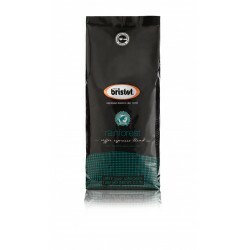 Bristot was founded in 1919 by Domenico Bristot, whose philosophy of selecting the very best raw coffee beans directly from the grower to roast and blend them to create the perfect Italian espresso has remained unchanged. Quality is guaranteed and is the cornerstone of this brand that is owned by Procaffe SpA, one of the top roasters in Italy. Tradition, innovation, cutting edge technology and the pursuit of excellence makes Bristot coffee a leader in the market place. All products are compliant with UNI EN ISO 9001- 2000 and HACCP standards and are Kosher.